Awesome Asian recipe number two today! I kind of like having a theme this week, I’m getting a kick out of it. I may need to do this more often. That, or I need to get out more if it takes that little to get me excited! I first tried this Asian stir fried broccoli recipe quite some time ago, and was immediately in love with it. It’s fast, easy, and really takes plain old stir fried broccoli to a new level. And the sauce. Oh the sauce. So good, and again, so incredibly easy to make. This side dish takes 10 minutes from start to finish. Maybe 15 if you really take your time cutting up the broccoli. Plus, you can have it as a side dish, which is what we usually do, or you can easily make it into a full meal! Add some meat for protein, double the sauce, and serve it over hot cooked rice. I’ve made it this way with both chicken and shrimp, just stir frying the meat before adding the broccoli, and it was the perfect meal. Even as a main dish, it only takes about 30 minutes to have dinner on the table. And I love quick and easy meals like that, especially on busy weeknights! And with soccer season starting right away here, I’m pretty sure this one will be making it into the rotation soon. Quick, easy, and delicious. Can’t beat that! Note: This makes a great side dish as is, or a perfect main course if you add some protein to it and serve it over hot cooked rice. Just cook up your meat in the skillet before adding the broccoli, and double the sauce. In a small bowl, whisk together the broth, soy sauce, hoisin sauce, sesame oil and cornstarch until combined. In a large nonstick skillet, heat the olive oil over medium heat. Add the broccoli and stir fry for 4-5 minutes until it is bright green and tender crisp. If you like it more well cooked, continue cooking for a couple more minutes. Add the garlic and continue stir frying for another minute or so. Pour the sauce over top of the broccoli and stir well to coat the broccoli with the sauce. Simmer for a minute or two until the sauce is heated through. Serve immediately. Source: Slightly adapted from Mel’s Kitchen Cafe . I LOVE asian flavors in cooking!!! Bring us more Asian food! :P Your Asian Stir Fried Broccoli looks SO good!!! love this! Haha, I'm sure he'd like it! :) Thanks Shelby! 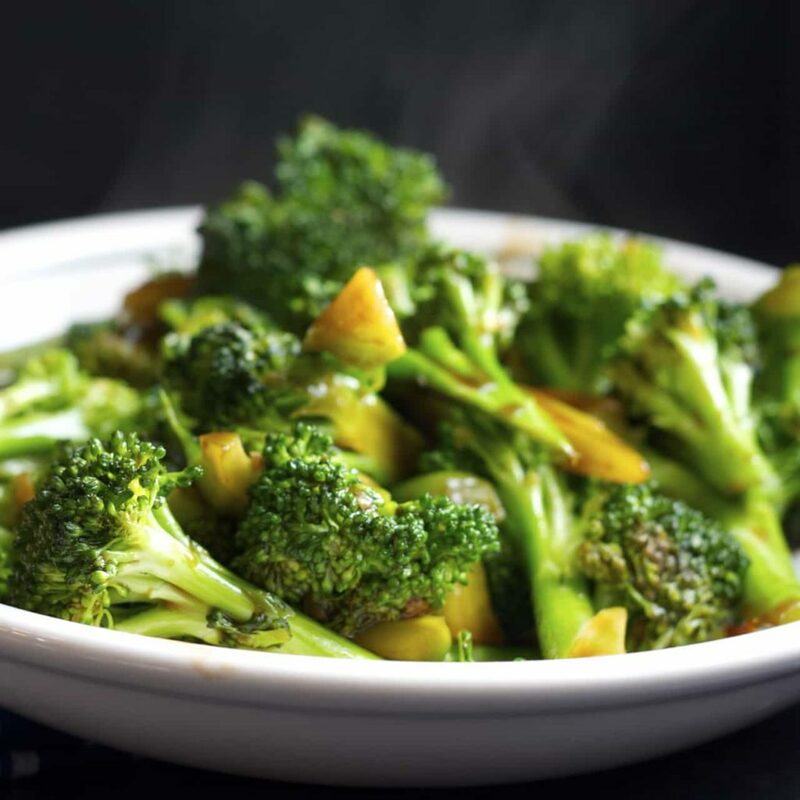 It is really great to stir fry this healthy broccoli with hoisin sauce! I always cook with oyster sauce. And I LOVE the steams of the photos. So appealing. I don't use oyster sauce as much, but I'll have to try it that way - I'm sure it would be wonderful! Thanks Elaine! 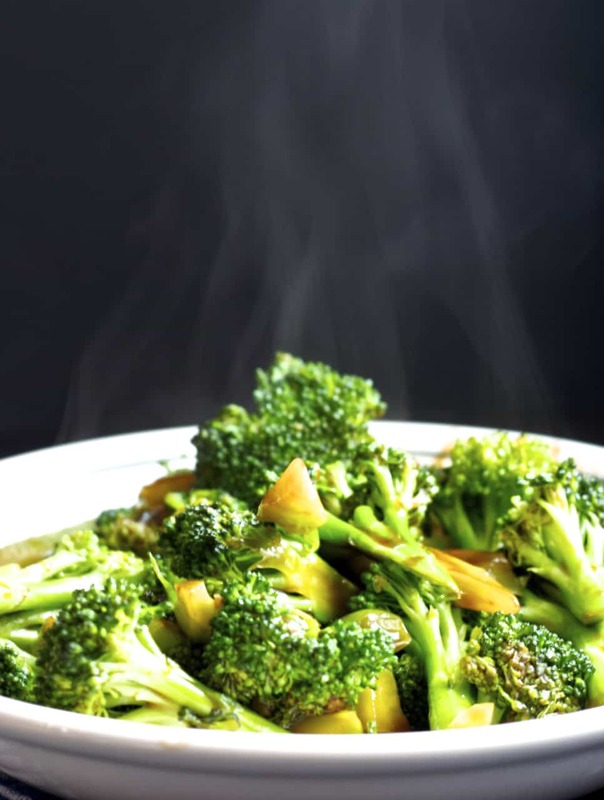 Love stir-fried broccoli and yours looks amazing!! Love the photos! I love both broccoli and cauliflower! This dish looks amazing and I love the pictures! Awesome flavors! Pinned to try it! This is so pretty, it almost makes me love broccoli as much as my toddler! Lol. I know 2 members of the family would go nuts over this! I can definitely see myself adding some rice and maybe some baked tofu and calling this a meal. This sauce sounds super tasty! We've definitely made it a meal a number of times, so good! Thanks Heather! great photos Stacey! this broccoli looks great and I love how simple it is! I love broccoli and now you made it even better by stir frying it! The pictures are amazing! I've been doing nothing but roasting my broccoli. This is a great recipe to get me outta my roasting rut! Yeah, that's generally how I cook it too, but I definitely love stir frying it for a change! Thanks Senika! Oh yum! I love broccoli especially when it's asian stir fried! Love it! Pinned! I'm with you there Cyndi, unless it's roasted or stir fried I don't really like it much, but I love this version! Your Asian recipes rock, Stacy! And I'm loving the photos, especially the one with the steam rising from the plate. My mouth is watering for a huge serving of freshly cooked stir fried broccoli! I don't make NEARLY enough stir fry recipes, like hardly ever really. I need to do this more often! Love this stir fried broccoli, Stacey! Def pinning for later! Stir-fried broccoli is my favorite! This looks incredible! Stir frying it is pretty much the only way I actually enjoy broccoli, that or roasting. Otherwise I'm not actually a big fan. But I like this! Thanks Gayle! I know I'm a dessert blogger so this might feel like cheating, but I adore broccoli. And in any Asian fusion restaurant, I always wind up ordering broccoli along with my sushi. So this recipe hits the spot!